And we wonder why we have enemies in the world! Is there a more efficient way to make more enemies than this? And this is approved by the administration of a president who was awarded the Nobel Peace Prize! I, hereby, nominate Kim Jong-un for the Nobel Peace Prize! He probably has less blood on his hands than Obama! But then that was in the tradition of the prize. Menachem Begin would testify to that! Poor Begin had to pretend he wanted peace to get it! Obama didn't even bother! But in all fairness Begin’s conscience bothered him after the Sabra and Shatila massacre. But Obama managed to turn his con into a science. Hitler is dancing in Hell. What next ? 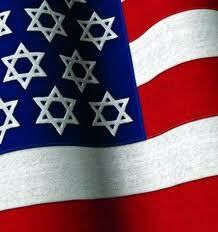 1.9Billon in munitions for Israel from the USA of all places! . I have always stuck up for the Jews & said they were not the war mongers & the Greedy ones they were made out to be at least until now! When I am seeing them for their true colors. I know their is always the black sheep that dirty up the waters & the others who are good bless their souls!! $$$$ makes the world go around ~ and look at all that AIPAC $$$ up for grabs. Despicable! (To exercise some very British understatement:) " It is a poor service to the memory of the victims of the holocaust to adopt [the methods] of their murderers. " -- N. Chomsky, quoted in "Manufacturing Consent"
Carol French - It's not "the Jews" as an entire category - it's the political Zionists whose face is being shown! (Just as ISIS is not the face of all Muslims ....). Stick up for those Jews who reject what Zionism is doing in their name, because they don't like it any more than we non-Jews who care about humans & human rights do ..... But the present government of Israel represents the Zionist face ..... by an extremely slim majority, but just enough to allow some very dangerous actions (legal & military) ignoring human rights. Economics win over morality - "The sale, if finalized, would be a windfall for US arms supplier, principally Boeing, Lockheed Martin, General Dynamics, Ellwood Group and Raytheon." .... I wonder how much these companies (or their main share-holders) pay into election campaigns? And bear in mind - places like Gaza are perfect testing grounds for weapons - clearly defined geographically, minimum capacity for fighting back (their weaponry is relatively primitive when they fire back across the walls of their prison .... few of their rockets have any impact) ... so that's an added bonus for these companies. Next I would expect AIPAC to lobby Congress to approve a similar package for Hamas. Israel complained endlessly during the Gaza warS about the inaccurcy of Hamas’s home-made rockets that ended up falling in civilan area. A matching package for Hamas should take care of that problem! The headline here perhaps should read " Israel is RE-SUPPLIED for its war crimes-again!" Summer is just around the corner and by all voices coming out of this new fascist cabinet, looks to me like time for mowing that lawn again.. for what else would they need e.g. those 3,000 hellfire missiles, noot to mention the rest of the wishlist! Thanks Sam for informing us about the details of these everlasting wishes. As a reaction to that latest of letters the EEPG (hight profile former European leaders) sent to Ms Mogherini and Eurpean Foreign Ministers, (Evelyn and Carrie posted about it) protesting Israel's policy and demanding a shift in Europe's dealing with Israel and its settlement policy, today Ms Mogherini is meeting with Nutnyahoo and Abbas for what may (hopefully) be some tough talks. The EU has threatened sanctions, including depriving Israelis living in illegal settlements of EU citizenship which one can just hope they'll maintain, unless we''ll see some immediate and drastic steps toward peace. Simply this pull back of the Apartheid bus instruction won't do. Lifting the siege on Gaza so that some more aid for reconstruction, other than the limited stuff from Israel, can reach there.This is whhat the UN and EU must demand in a concerted voice and action! Can't blame Sam for his ironic suggestion, that would only mean equality for people's defence and human rights! Arms dealers are not known for their cherry picking their customers, they sell their goods to anyone even to their "enemies". So why expect arms dealer America to be more cautious? It has never been in the past, so why expect it to show restraint when it knows damn well what these weapons are gong to be used for. A deal is a deal, right? Boeing, Lockheed Martin, General Dynamics, Ellwood Group and Raytheon will be so happy! Correct Lona, and a few more will be as happy, incl. the WH and all those who are one way or annother affiliated with those MIC corps. There was even a suggestion that may include Michelle O. via the Chicago Council and her personal connection to the Crown guys on the board of General Dynamics ! $1.9 billion while the Heartless Ones in DC ask the Elders in the USA to go without medical care, heat, food. As our schools crumble, as all poor are asked to do without food because they cut back Food Stamps, while millions in the USA still have NO medical insurance despite the ACA, and as those Veterans that DC sent to Iraq also Afghanistan are homeless and committing suicide alongside of the still lost Vietnam Veterans. Just think in real terms what $1.9 Billion dollars could do for the citizens of the USA. IF you are NOT angry, you are NOT at all paying attention! Obama and the Peace Prize....that was a sick joke from the get go Sam. Is a shame, because it degrades that whole Peace Prize.....of truly deserving people who already have the honor and will in the future. Just as I feel the Wounded Knee medals of honor should be rescinded; nothing honorable in a massacre of unarmed men, women and children. If I'm loaning money....let it be for Peace not war. Again, these loans have been at the expense to our own citizens so you want war support the war yourself. We got enough crap to support with the mess we got into with Iraq and such. Noted. Just because Israel has not (yet) been convicted doesn't mean its not guilty. Thanks for posting, Sam, and thank you, esteemed commenters! This sales means that US will get 1.9 Billion USD from Israel. Now US can spend this $1.9 billion for "medical care, heat, food. As our schools crumble, as all poor are asked to do without food because they cut back Food Stamps, while millions in the USA still have NO medical insurance despite the ACA, and as those Veterans that DC sent to Iraq also Afghanistan are homeless and committing suicide alongside of the still lost Vietnam Veterans. Just think in real terms what $1.9 Billion dollars could do for the citizens of the USA. " IF you are NOT HAPPY you are NOT at all paying attention! Mr Algeron may have a point there as the US govt and its defence contractors who are getting paid for their deadly merchandise ARE its "commanders in chief", however, hardly out to benefit America's poor and needy! Defending your country from rocket attack and your enemy building underground tunnels for warfare is not a criminal act. Since late March 1993, following a series of stabbings inside Israel, a general policy of "closure" - the term referring to Israel's sealing of the West Bank and Gaza - has been in effect in the occupied territories. prohibiting lestinians and of goods from or into the West Bank or Gaza, as well as movement between the occupied territories, except by persons in possession of permits issued by Israel. The most serious such clash since Israel began handing over parts of the West Bank and Gaza to Palestinian self-rule in May 1994 was i n February and March 1996, four deadly suicide bombs killed fifty-eight people in Israel, in addition to the suicide bombers, and wounded 200. While Israelis struggled to overcome the fear and terror caused by these bombings, over two million Palestinians found themselves under a state of siege for nearly two weeks, when the government of Israel imposed the strictest total closure in the history of the occupation (hereinafter the "Spring 1996 closure " During the Spring 1996 closure, Israel also placed military checkpoints around the cities and 465 towns and villages of the West Bank, thus blocking movement between them to protect their people from attack. . This article and the people that really believe that Israel is our enemy and Palestine are our friends --- is more proof that The United States will never win the propaganda war against the Islamic State. Brilliantly done with lies or distorted info ---they managed to turn their culture of suicide bombers, abuse of women, jihadists into those we should have sympathy and support for......and at the same time hate for our biggest ally in the middle east that does some of the battles in our behalf--- Even tho they celebrated our losses on 911 and called OBL a HOLY WARRIOR. No not happy Bob, I don't like that we have a war economy, I don't like that we went from exporting shoes, shirts, so on and so forth to bombs and missiles. As it was pointed out, just getting back some of what we've sent over the years. With the group we got in DC it's not going to go to the most needy, that will go back into defense I would expect. Like we don't spend enough there already. We spent 581 Billion dollars in 2014 alone, hardly think this will be a drop in the bucket. Our closest rival is China at 129 billion. Our polices in the USA stink. So yes, it was taken away from the Elders, disabled, children and poor, even coming back it will never go back to the most in need, is why I put it that way, this Country never give back even when it gets back to those it is taking from the most. It also will kill someone's child, these bombs, we perpetuate the wars around the world if we sell more weapons. I'd love to be known as a Country that would end hunger, be on the cutting edge of the first in the world to go totally clean and green energy, to increase our budget for our Peace Institute and less to the War Machine. Oh I'm paying attention......I just don't understand why others seem to love their wars so much. If you BUY something, whatever, you PAY to them who SOLD IT to you, right? I haven't heard that Lockheed Martin and their likes hand out give aways. Does this work differently in Canada? huh? Oh and btw VERY HAPPY for the cleaning job here this toilet paper finally managed! Of course, it goes without saying that digging "terror tunnels" is OK for Jews to do - just nobody else! When the Jews dug tunnels to smuggle food and weapons into the Warsaw Ghetto, it was an act of justified resistance. When the Palestinians dig tunnels to smuggle food and weapons into the Gaza Ghetto, it is terrorism. . .
Usually what's good for the goose is good for the gander - but obviously yet again that doesn't apply to Jews ONLY Gentiles. Well, maybe Israel was rewarded for this! So, it is inappropriate for Israel to have weapons to protect itself from the terrorists who attack through tunnels and shoot rockets continually. Perhaps those who have family in the military should also thank Israel for the equipment that helps to save their lives and people with heart conditions should thank them for the techniques and medication that saves their lives and you lot should thank Israel for their products and research that allow you to abuse them by computer and laptop. So, you should all hang up your computers in protest. Hi Carol - "I have always stuck up for the Jews & said they were not the war mongers & the Greedy ones they were made out to be at least until now!" If you re-phrase this into "Zionists" instead of "Jews" I agree with you. One should never hold the an entire group of people (race, religion) responsible for the acts of a few who also happen to be ... Jews, Muslims, Christians ... white, brown or whatever. Thanks Sam for the article. I'm in a rush to close down - can't send you more stars at the moment. I hate the way the world acts especially USA and others, only because of the Billions of dollars earned for selling guns and war tools to these waring racist countries. Oil and War makes Trillions of dollars a year for these sick war mongering countries. If the Jews were smuggling food into the Warsaw ghetto why did so many of them starve to death? Sure, Hitler let people other than the Nazi's have weapon's. Gaza is a ghetto because it's occupied by Hamas. Noted. If Israel wasn't surrounded by enemies sworn to destroy it .there would be no need for up to date weaponry.It needs to be one jump ahead of its enemies.I notice the criticism of Zionism:. without the Zionist movement there would never have been the state Israel, Anti Zionism is only a mask for anti Israel.I'm sick and tired of seeing the anti Israel posts ,many of them bitter and invective. that appear on care 2.I unequivocally support the state of Israel an all its actions. They are buying, not being given. Buying is a good thing for our economy. It would be wonderful if they were not weapons, but Israel in particular needs to protect herself from her neighbors. This is wonderful news thanks Sam. What America really should do is divert all the aid it sends to Muslim countries, which hate the U.S, to Israel, America's only true ally in the Middle East. It wasn't enough that we had to listen to stupid Netanyahu lecturing us on how to conduct our foreign policy, now we have to listen to his minion tell us how to spend our money! The arrogance of the depraved!!! When a terrible bloodbath happened in Rwanda, the people who were massacred and those who did it, all still live in the same Country. What about the Armenians? We can site examples and yet, it is only one group who expects the USA to pledge to and constantly support no matter what. There are Jewish people living comfortable in the USA and in other Countries, why is it, that the United States sends so much to Israel to protect some people who were moved into that area as if no one else lived there? In fact are still removed from others places to live there, even if things are going okay for them in the Country of their birth. Why can't the United States spend that much money to at least make some amends to the people whose land was stolen, their villages burned, their children stolen or killed, and they were shoved into POW camps which are nicely referred to as Reservations? I keep hearing how rich Israel is, how well they are doing. Just look at David's stories he posts all the time on C2. About how great Israel is, how it is doing this, inventing that, a high standard of living, yet, they keep asking for more help from the taxpayers of the USA of whom many are in deep struggle. Our schools are in need of repair, our Elders cold from lack of being able to afford heat, our roads in need of repair, our bridges falling into the waters. We need more inspectors of these pipelines that keep breaking, we need more inspectors looking into our own food supply, we have people in need of medical care, and the USA Govt. keeps cutting back on programs to feed hungry children through WIC and SNAP or offer affordable Day Care through Head Start to allow poor women to return to a job while giving those children a running start. Indeed I'm tired of how our money is being spent on more bombs and missiles for some other Country to keep on with their misadventures. The USA certainly has enough of it's own misadventures it can't even afford. If as I keep reading Israel is doing so well and are so great with it's technology and otherwise, then it's time to take care of oneself as the people of the USA should be doing. When our children are born they did not sign onto be the police of the world, but we certainly have become that; and it seems more for one Country, it is seen even a requirement; a pledge. Since when did that become our personal responsibility? Do the Canadians do that? The Australians? The Swedish people? If any Country, the USA owes anything to maybe it's one we left high and dry. Stanley - seriously - psychiatric help - before it's too late - you know it makes sense. . . I'd definitely add Pakistan to that list. They hate the U.S.. with a vengeance. Can you blame Pakistan, they were helping us, like Cambodia, until we started killing their citizens who had done nothing wrong, with drones. Nabila Rehman, left, 9, watches as her brother Zubair reads a statement about the day their grandmother was killed by a U.S. drone strike in Pakistan, at a hearing in Washington. Disgraceful, how does DC learn if they don't even care to listen to people who came thousands of miles to have a voice. Thank you, Dandelion, for this link and for exposing the shame. Imagine just for one second how many Congressman and -women would have shown up if this were Israeli (Jewish) children and adults telling their experience with Hamas rockets when the corner of a building in Sderot was hit Sderot is always everywhere ... why bother with Pakistani, Cambodian or - G-d forbid - with Palestinians?!?!?! Recall time!! Thank you. Sam. - Gov. Scott Walker of Wisconsin, a Republican and likely presidential candidate, on what he learned during his recent trip to Israel. That's your "leading paper", making the country's politics. Scott Walker is a dangerous jerk. Unfortunately, we have too many of these dangerous jerks and the people who keep voting them in.